One does not gain weight only by consuming carbohydrates and fats, but mostly by eating sugar. If your intake of sugar is moderate, you won’t be at risk, but if you consume great quantities of it, whether it is through foods or drinks that contain a lot of added sugar, such as sodas, pouch juices, breakfast cereals, yoghurts, candy, salad dressings, then you are at an increased risk of putting on weight. Honey, pure fruit juices, raisins, bananas and mangos all contain sugar, but in the form of simple carbohydrates. In case of sugar overdose, the body experiences symptoms such as consequent fatigue, hyperactivity, depression, headaches, yeast infections, sinus issues, colds, sleepiness, and mental disorientation. Moreover, too much sugar may trigger health issues like heart diseases, diabetes, the development of cancer, especially breast cancer. When we take in sugar, our body uses it as much as it needs it, and the energy levels of our body boost. The rest of the sugar that remains unused is stored as fat. The added sugar differs from the natural one. 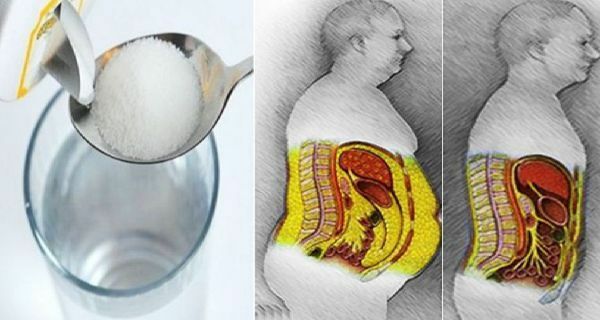 It reaches the intestines and reacts with the intestinal bacteria, thus increasing the level of blood sugar, which in the end results in fat visible in the hips, waist, and thighs. Do not think that it is impossible to quit sugar. However, while you are in this phase of quitting, you will most likely experience the classic withdrawal symptoms of any addiction, such as headaches, sadness, fatigue, queasiness, and cravings. The sugar cravings usually appear after the meal is digested, when the body sends signals to the brain that it is not hungry anymore. This is when you opt for a sweet dessert. Make sure you stay away from added sugar and do not consume it. Start step by step, with reducing the amount at the beginning, as if you quit it at once, you will only want more. It is recommended that you start by cutting one added sugar at a time. You will surely experience cravings and you will not feel very good, but soon you will start feeling better and your health is going to improve significantly. dinner: for dinner you should consume mushrooms with onion, garlic, broth, celery, carrots, thyme, and bay leaves, or penne pasta from brown rice with sauce made from mushrooms, tomato, and basil. Taking in consideration that you should stop consuming the sugary drinks, you should replace them with these detox drinks which will help you boost your metabolism. This diet plan will keep your sugar cravings under control, so you should not hesitate anymore and start the quitting process right away.